This project will enable essential communication and bring clean energy in a Kamayura village in the Brazilian Amazon. The radio (vital to communicate medical emergencies and get life-saving help), a couple of computers and a small internet satellite dish for the school could be powered with solar panels. Currently, the radio is not working and the internet/computers work only when there is gasoline available (rarely). The generator pollutes the air and makes a lot of noise. This microproject aims to replace the old solar panel that powers the radio and replace the polluting generator that powers the satellite dish. This will connect again the village with the outside world (vital for emergencies) and will bring again internet to this remote village. Solar panels will power the radio, a vital communication tool for medical emergencies and with other neighboring villages. The solar panels can provide non-stop, free, clean energy for the school, including internet and the few of village computers. Access to information and technology are potent tools for empowering and educating the youth. The area gets sun non stop at least 6 months of the year, therefore it is very suitable for solar energy. Life-saving communication will be at the reach of the Kamayura again – from health emergencies, to receiving information about family members treated outside. The radio and the internet are powerful communication tools among the villages, among the youth. The school will have limited internet access – a tool for the youth to learn, communicate and connect. Solar power does not pollute, like the diesel-fueld generator, so it will help protect the environment for the long term as well. 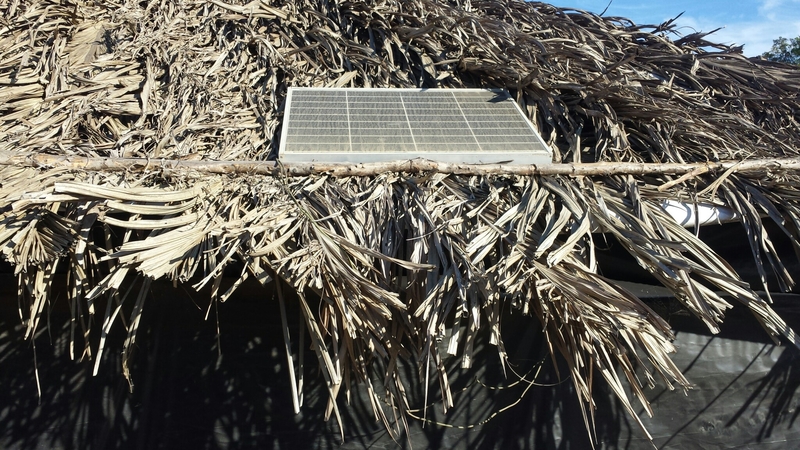 UPDATE REPORT: The solar panels AND the wifi router made it in the Kamayura village. A volunteer technical specialist visited the village and setup the panels. This will mark the start of clean, free energy that will power the radio and the school. The Kamayura are very happy, they have been waiting eagerly for the panels and router to reach their village.